Application: Utting General Metallographic And Lithofacies Material Specimens. Usage: Utting General Metallographic And Lithofacies Material Specimens. Model LSQ-120metallographic specimen cutting machine is suitable for cutting general metallographic and lithofacies material specimens. This machine features safety & reliable performance, low noise and easy operation. It is the ideal instrument for specimen preparing purpose used in colleges, laboratories & factories. 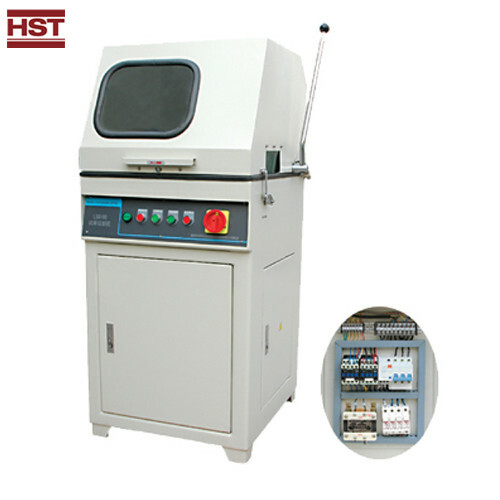 Looking for ideal LSQ-120 Metallographic Sample Cutting Machine Manufacturer & supplier ? We have a wide selection at great prices to help you get creative. All the LSQ-120 Precision Cutting Machine are quality guaranteed. We are China Origin Factory of Metallographic Precision Cutting Machine. If you have any question, please feel free to contact us.